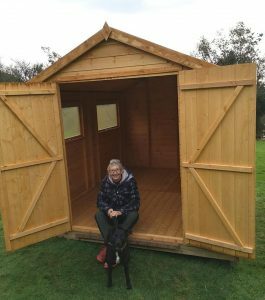 Its now THIS-a fabulous new, and desperately needed, storage shed! 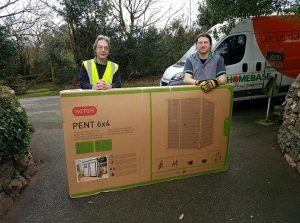 We would like to thank the wonderful group at Robert Dyas for their kindness and generosity in supplying the shed, and the two great guys who came out to do the assembly. Nothing is ever straightforward here, but they worked with commitment, speed and efficiency to give us a completed shed. 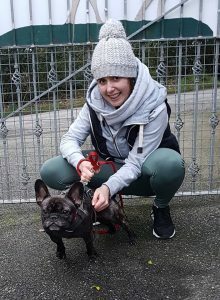 We are truly overwhelmed, you have no idea how much this helps us to improve our organization and management of our site for the dogs in our care. From all of us-thank you. Boid is just one of the K9 Crusaders dogs who enjoys his daily meals of Burns! 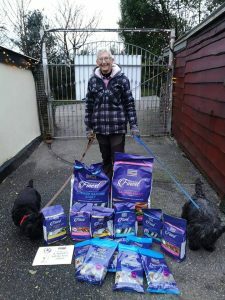 These are a few boxes from the very kind donation we received this afternoon from Nutriment, courtesy of the truly wonderful ‘Do the Right Thing’ team! 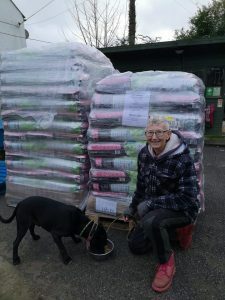 First donation received after the Do The Right Thing interview.THANK YOU Claire Colley, and the Do the Right Thing team, and of course Fish4dogs, for this fabulous donation of food! Ronnie and Storm are on quality control as they love fishy flavours! 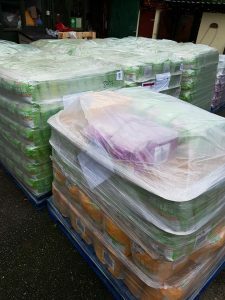 DAY 2…another delivery courtesy of the ‘Do the Right Thing’ team! Thanks to driver Richard, who has come all the way from Nottingham with a donated storage shed! 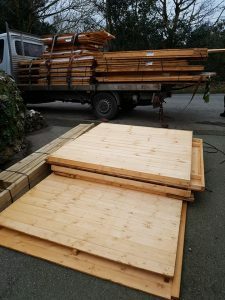 NO SOONER had the lorry left, 2 lovely guys from Homebase arrived with the small shed…courtesy of Do the Right Thing! We are indebted to IAMS for their generosity and kindness, and of course to Claire and the ‘Do the Right Thing’ team for organising all of this! How can we ever say thank you? Totally overwhelmed…. 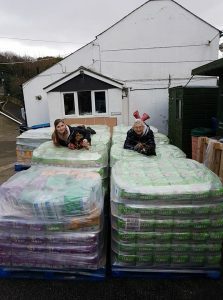 It started with the arrival of a very large lorry…we moved our cars out of the yard…and then this happened…yes, 9, NINE full pallets of Iams dog food-a whole year’s supply! How on earth do you say thank you for such care, concern and generosity? 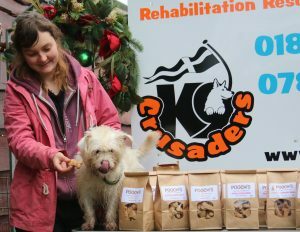 K9 Crusaders would like to say a huge thank-you to our supporters and to Pooch’s Dog Treats who sent us this great selection of their fantastic quality treats as we were the lucky winners of their charity competition held towards the end of last year. 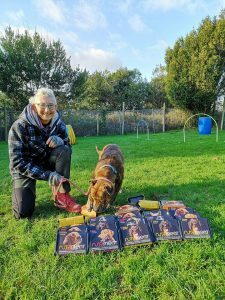 Here is a few of the other dogs at K9 Crusaders getting into some more Christmas shoeboxes As you can see by the waggly tails and excited noses they have been very gratefully received. Once again a huge thanks to everyone who donated and supported to give these dogs a special day.